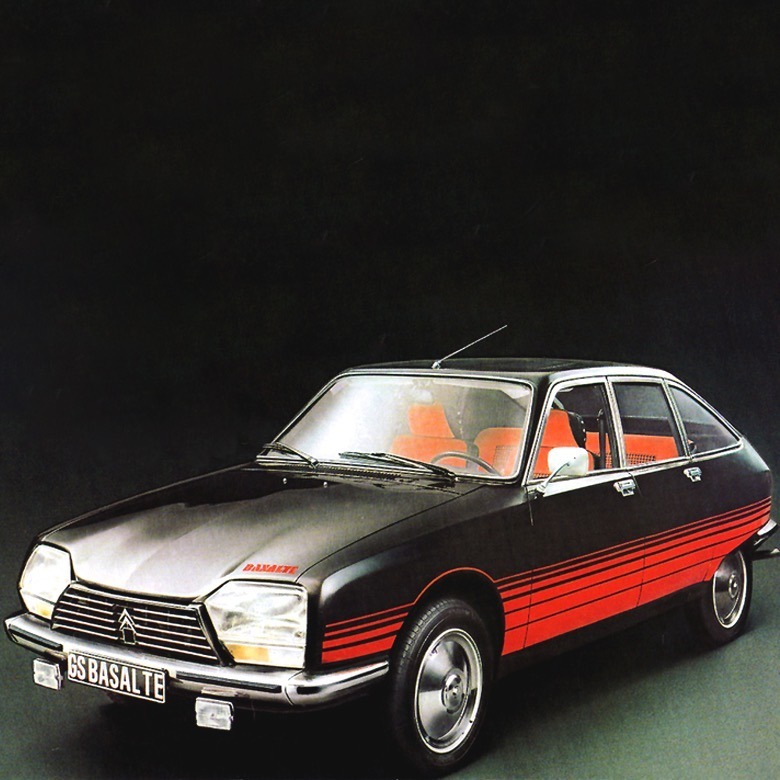 A limited edition of the Robert Opron-penned Citroën GS, the Basalte was an unusual, limited-run variant designed to breathe new life into an almost decade old platform. Largely sharing a silhouette with the GS Club, the Basalte added a sunroof, tinted windows, headlamp wipers and gloss black paint to provide contrast with custom banded horizontal side decals. With bespoke orange upholstery and trim, the Basalte’s features were largely inline with Citroën’s upper Pallas range and provided an eye-catching – if only momentary – model refresh.